Anderson alumnus Jerry Pacheco was recently named one of the '50 Influentials' by Hispanic Business magazine. 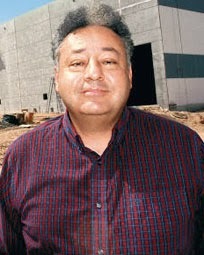 Jerry Pacheco was appointed by The Federal Reserve Bank of Dallas to its El Paso Branch board of directors in April 2013. He will fill the remainder of a three-year term ending on Dec. 31, 2014. Mr. Pacheco is president of Global Perspectives Integrated Inc., a New Mexico international trade and project management company. He earned a BBA in marketing, an MBA in international management and a master's degree in Latin American studies from the University of New Mexico.